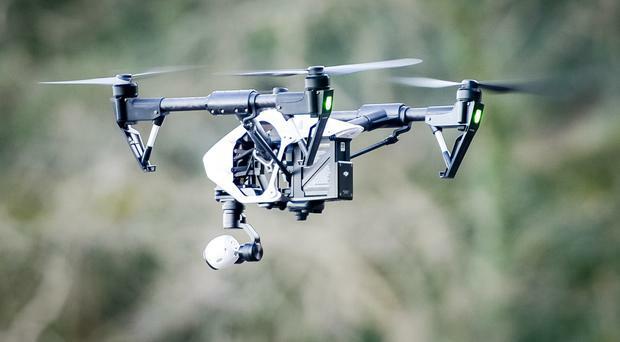 Teenagers will learn about the use of drones in tackling global environmental issues as part of a newly created A-level. The Environmental Science course - the first of its kind - will also cover new "CSI-style" technology such as DNA testing as well as GPS tracking systems, according to the AQA. The exam board said that the draft qualification, which if approved by Ofqual will be available from September next year, focuses on sustainability and important issues such as climate change, fracking, energy supplies including wind, solar and nuclear power and marine wildlife conservation. Richard Genn, lead developer for the course, said: "Climate change, diminishing resources and failing energy security are amongst the most critical issues facing the world today. Planet Earth didn't come with a user guide, so it's vital that we equip the current generation of students with the right knowledge and skills so they understand the impact that decisions we make now will have on future generations." Sixth-formers taking the A-level will learn about how DNA samples taken from timber products can be used to identify tree species, country of origin and whether it was traded legally, as well as how drones can be used to monitor crop pests and track wildlife poachers. Other topics include using satellite surveys to search for new mineral reserves and GPS to track wildlife such as whales, sharks or migrating birds. "Environmental science is a rapidly developing subject, and technology plays a crucial role," Mr Genn said. "This new course is designed to be relevant and topical so that new issues can be studied as soon as they emerge - what is on the news today could be studied in the classroom tomorrow." The new course is being introduced as part of a major ongoing overhaul of GCSEs and A-levels, with reformed qualifications being introduced over the next few years.